Congratulations to our 2018 IPFCC Presenters! 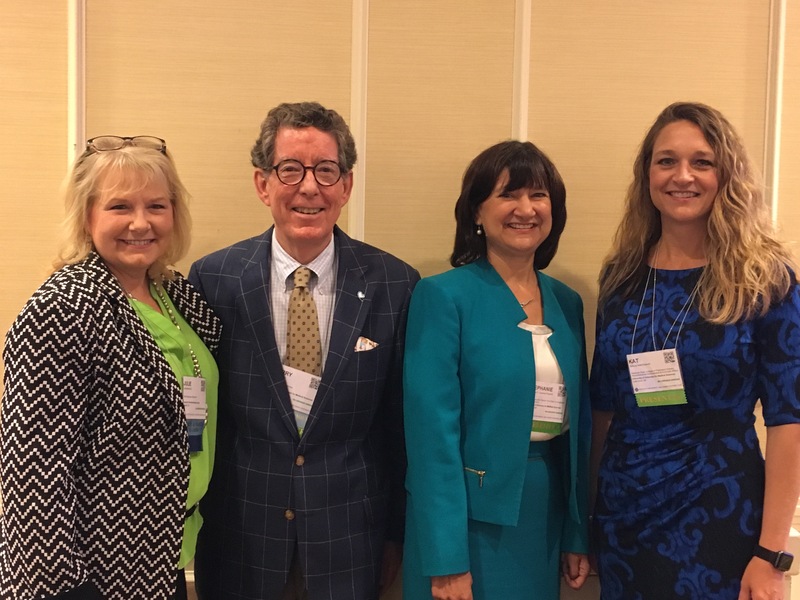 TeamUAMS rocked their IPE presentation at the 8th International Conference on Patient- and Family-Centered Care in Baltimore on Wednesday, June 13, 2018! Their presentation, titled: “Integration of Patient/Family Advisors into Interprofessional Education Teaching and Practice to Address Patient and Family Needs” was well received by a riveted audience. Presenters were (from right to left): Kathryn Neill, PharmD, Director of Interprofessional Administrative and Curricular Affairs; Stephanie Gardner, EdD, PharmD, Senior Vice Chancellor for Academic Affairs and Provost; Larry Taylor, Adjunct (Family) Faculty,College of Health Professions, Department of Respiratory and Surgical Technologies. Also featured (far left) is former team member Julie Moretz who served as the first ever Vice Chancellor for Patient- and Family-Centered Care at UAMS.